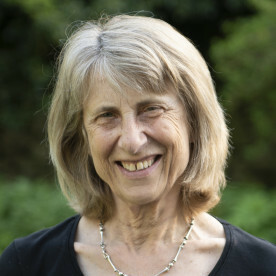 Frances Harcourt-Brown graduated from Liverpool University in 1973. She started her career in large animal practice but changed to small animals when she and Nigel set up their practice in Harrogate. Frances’s interest in rabbits started around 1994 when she noticed that the teeth and skulls of rabbits with dental problems showed marked pathology, including osteopaenia, and, like many other problems in pet rabbits, the syndrome wasn’t reported in the literature. She has been investigating diseases of pet rabbits ever since. Frances has published widely and lectured in many countries around the world. She has received several awards for her work including the BSAVA’s Melton and Donkin awards. She is the only person to receive the BVA’s William Hunting award twice. Frances was the sole author of the first edition of the ‘Textbook of Rabbit Medicine’ that was published in 2001. She is the co-editor of the BSAVA Manual of Rabbit Surgery, Dentistry and Imaging. In 2006, Frances became a Fellow of the Royal College of Veterinary Surgeons for her thesis on dental disease in pet rabbits. In 2007, Frances became the first and only RCVS Recognised Specialist in Rabbit Medicine and Surgery. In 2010 she also became ade facto European Specialist. In 2016, retirement forced her to give up both specialist statuses although she is still involved with education about diseases of rabbits for both owners and vets by running a website devoted to the subject.